On Premier Rachel Notley’s Christmas list was new petroleum refining capacity for her province of Alberta. 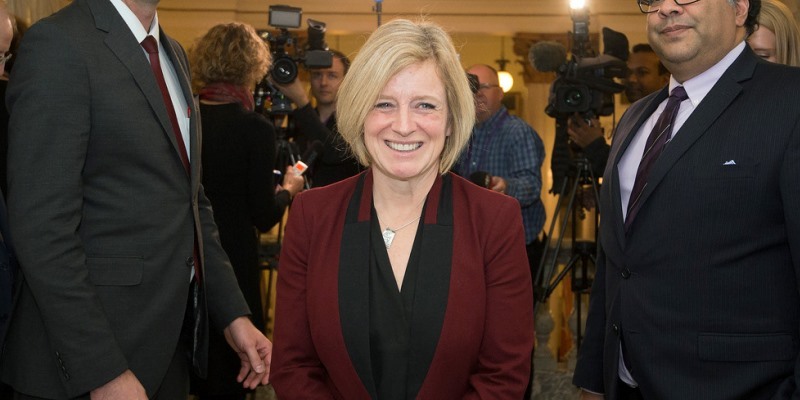 In early December she issued a request for expressions of interest in new capacity to Alberta’s oil and gas industry and though nothing came down the chimney December 25 the end-date on her inquiry is February 8, so she may still not be disappointed. Alberta has four refineries at the moment but the premier evidently thinks a fifth, or maybe expansion of the existing ones, would help the province deal with its increasingly land-locked resources. New refineries don’t get built very often in North America anymore. The reason is that the usual reaction to the prospect of several acres of shining towers, pipes and storage drums transforming combustible hydrocarbons is “NIMBY”—Not In My Back Yard. So the premier’s implicit invitation of “PIMBY”—Please In My Back Yard—is novel and refreshing. That it comes from the leader of a political party on the left of the ideological spectrum makes it even more intriguing. So that’s good. But how far do the premier’s refinery desires go? It’s one thing to indicate the province is open for all kinds of business, including petroleum refining. Provinces should be open to business. And open-ness includes reasonable, un-oppressive regulation. If the premier is signalling to industry that Alberta won’t put unnecessary regulatory obstacles in the way of investment, that’s good. That’s what smart governments do. Mind you, these days so much of what amounts to regulation is done through the courts that governments may not be able to deliver on promises to make the regulatory gauntlet fairer to business. Processes now are very decentralized, with citizens and activist groups suing governments and businesses over this or that action, sometimes even after regulatory approval has already been obtained. Just like justice, business delayed can be business denied. Nevertheless, the premier’s implicit offer of her good offices probably does count for something. But if Premier Notley’s position is a refinery at any cost, with her government willing to step in and underwrite the cost or maybe even own the operation itself, that’s something else. Whether natural resources should be processed near where they’re found or somewhere else is basically a question of economics. Communities naturally want to “add value” locally—as much of it as possible, please. But value-added is just cost. The reason communities do want to add value is that they covet the wages, salaries and capital costs that go into adding value. The trouble is, if other places can do the transformation more cheaply, you’ll be adding too much value to your products: They’ll arrive in the marketplace costing more than the other guy’s, which means they’ll die in the marketplace. As a government, you could subsidize the products so that they do remain competitive. But then you’re taking from—and maybe endangering—one part of your economy to preserve this favoured part. How is that efficient? Or sustainable—can the subsidies last forever? Or fair? British Columbia produces lots of lumber. Should it be the furniture capital of the world? For that matter, should it be the housing capital of the world? A lot of the value added by B.C. lumber involves putting it into U.S. homes. Wouldn’t we get more value out of the lumber if we built all those homes in B.C.? Of course we would. But—duh!—most folks want to build their homes where they live. Saskatchewan produces lots of grain. Should it be the bread and pasta capital of the world, too? Probably not. Bread doesn’t travel as well as grain. Pasta travels better than bread but if pasta typically is made closer to the places where it’s eaten, that’s very likely because that’s the cost-minimizing way of doing it. Should Alberta’s petroleum be processed in Alberta? That depends on a whole host of economic considerations concerning cost, scale, portability and many other factors we outside the industry can’t even imagine. The calculation of all these things is best done in markets. In my experience, most people who participate in markets are very nice. But markets themselves are ruthless—which is the great thing about them. If it really is cheaper to produce petroleum derivatives in Alberta and then move them to market, that’s how it will end up being done. If it isn’t done that way, it’s a safe presumption it’s more efficient to do it some other way.